Welcome to the Cartime of Owatonna - You Can Count On Us! We are your premier auto repair shop in Owatonna Minnesota. One customer at a time we continue to grow Cartime of Owatonna by providing the highest level of satisfaction. We treat every car we service like it's our own. Everything from an oil change to an engine replacement we are your 1 stop shop. There is nothing like having car troubles while your on the road - if this happens unexpectedly - we are here to help get you back on the road as fast as possible. Our goal is to offer the best services available at affordable prices to save you money. The high level of expertise that our certified technicians provide is never questioned. Each technician is highly trained, certified and has many years experience. We have top of the line equipment and diagnostic tools needed to perform each job. We pride ourselves in fixing it right the 1st time to save you time and money. Our friendly staff will guide you through the process and keep you informed to give you the peace of mind that you deserve. To learn more about the services we offer, please contact us by phone at 507-744-9533 or send us an Email. Customer Satisfaction is our number 1 goal! 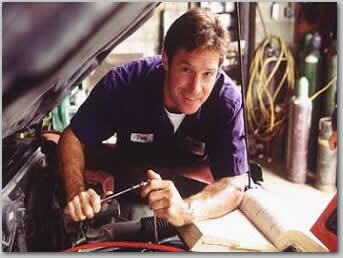 Whatever your auto service needs, Cartime of Owatonna can handle it expertly. We truly do it all and ALL JOBS ARE GUARANTEED! The automotive industry is filled with complexities these days, gone are the times when an individual could simply go down to the auto parts store, purchase some parts and tools and tweak his or her own engine. Since the advent of small computers the auto service industry had changed dramatically too. For example, it is not uncommon to need very specific computers for certain types of make vehicles, just to do initial diagnostic work... We have invested in our business large amounts of capital so that we stay current with the latest advances in automotive computer diagnostic and repair equipment. This allows us to figure out what is wrong with your vehicle in a short amount of time - thus fixing your vehicle's issues in a monetary amount that can meet most budgets.